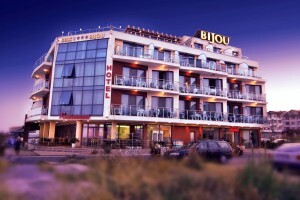 Bijou Hotel is entirely situated on the verge of the coast line in village resort Ravda. 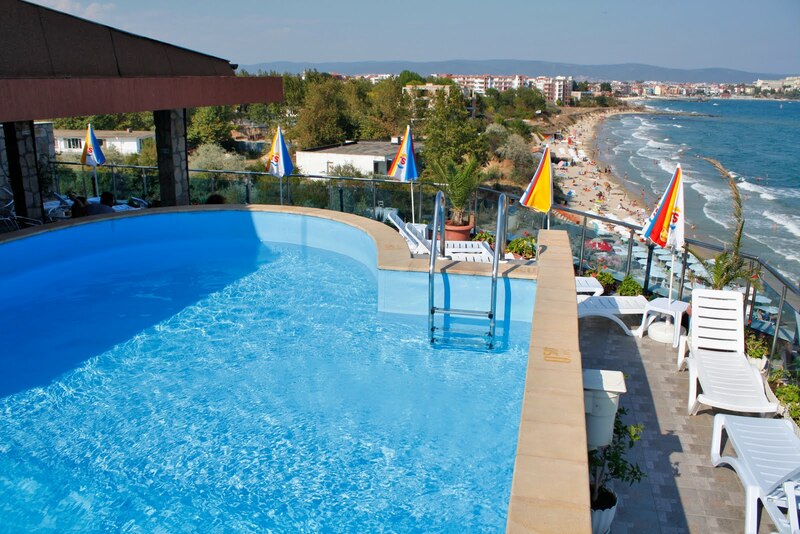 Its view is towards the picturesque bay and the ancient city of Nesebar which makes it an ideal holiday location for family and friends. 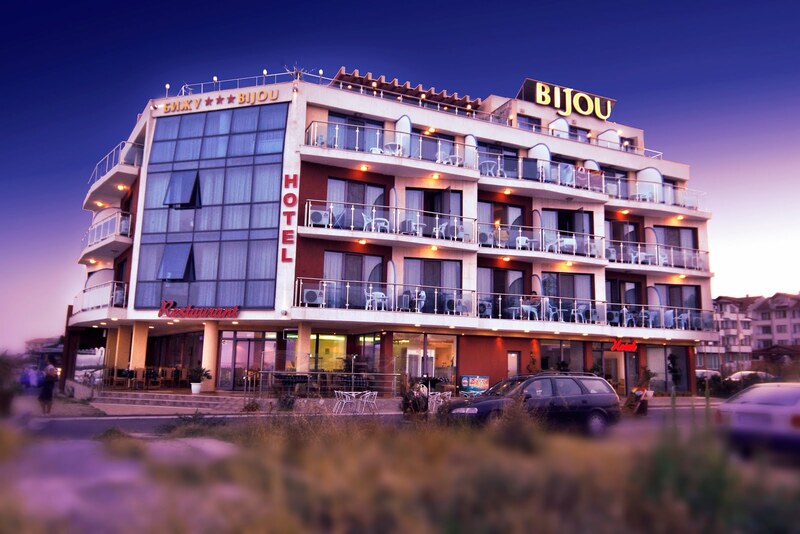 Bijou Hotel has 47 comfortable double rooms and 3 apartments. 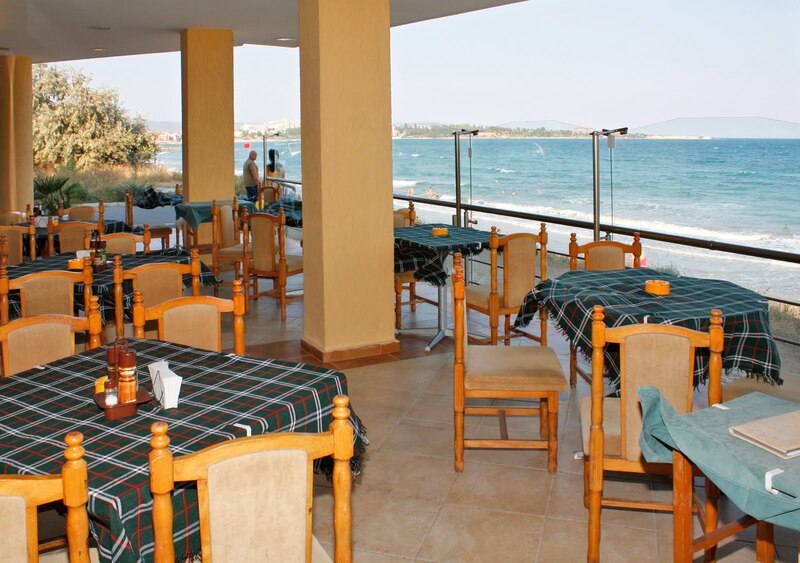 Its premises include a 24 hours reception; safe; restaurant; lobby bar; swimming pool and a bar along with sun beds on the roof, with an incredible panoramic sea view; plus an underground car park. 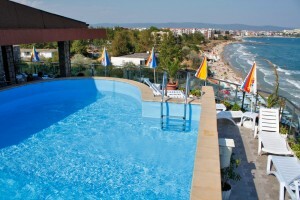 Each room has an air conditioner, mini bar, phone, cable TV, bathroom with shower and WC, balcony and wireless internet. Close by there is a bus stop with a regular transport from Ravda to Nesebar city; Sunny Beach resort; Burgas Airport and the city of Burgas. Situated on a strategic place, the pretty restaurant of Bijou Hotel offers its clients the pleasure to experience the unforgettable view of the bay while enjoying their food and beverages on the verge of the coast line. There is an indoor hall with a capacity of 46 seats and additional 56 seats on a terrace. 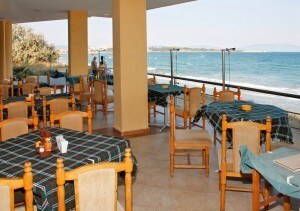 The restaurant also offers live music (18:00 -22:00) with a romantic environment which predispose for dancing every night. Bijou Hotel has an exclusive Sky Bar and a swimming pool on the top of the hotel. The combination of bar, swimming pool and the feeling of infinity, builds an unique feeling of joy and peace which transforms the ordinary day into an extraordinary one. The only way you can experience that emotion is to be a guest at Bijou Hotel or be a client of Sky Bar Bijou. - an underground car park.